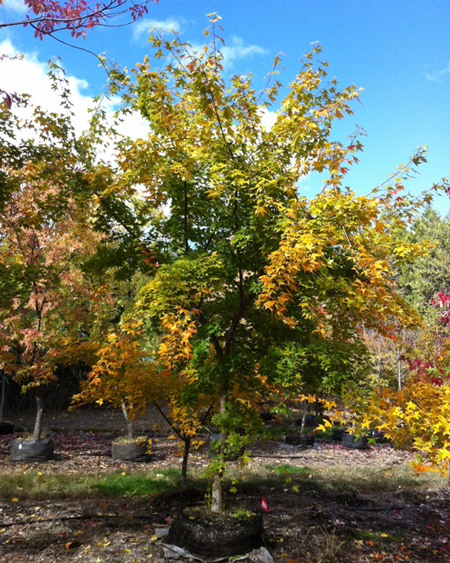 The elegant Shantung Maple is small, about 25 feet tall and wider, with much to commend it. Glossy leaves are 3 to 5 inches long with 5 to 7 deeply cut lobes. They emerge in lovely pastels then turn a clean, mid-green. Fall color is outstanding, predominantly yellow gold but often with orange, red, and even purple tones. 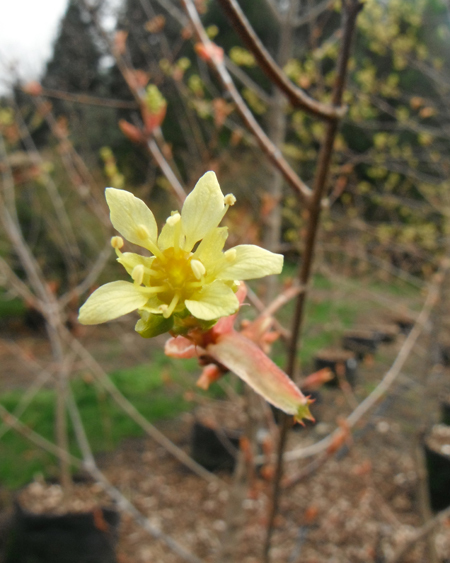 Upright clusters of yellow-green flowers are followed by 2-3in. samaras. Grayish-brown bark is deeply fissured and shaggy on older specimens. 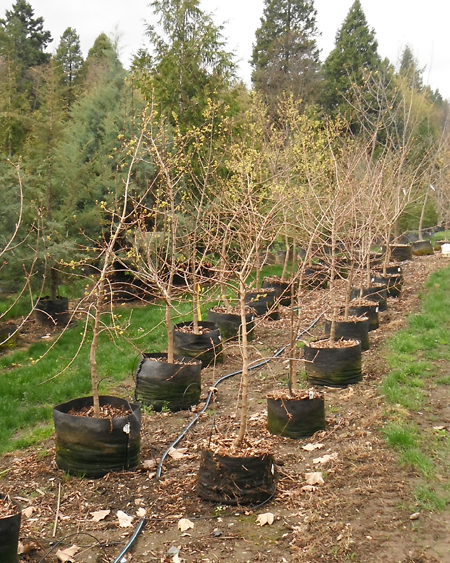 It maintains its fresh appearance even under hot conditions, and is more drought-tolerant than many other maples.